Drum Heater is one of the types of heaters, which is designed for the purpose of maintaining the temperature of metallic, as well as, plastic drums containing fluid or ferocious products. Sunrise Products is the most resourceful Drum Heater Manufacturers In Delhi that you can tune in to invest in the quality. These heaters are unique in design, as they have a triple walled construction made of heat resistive silver paint, MS or MS with a powder coat finish. 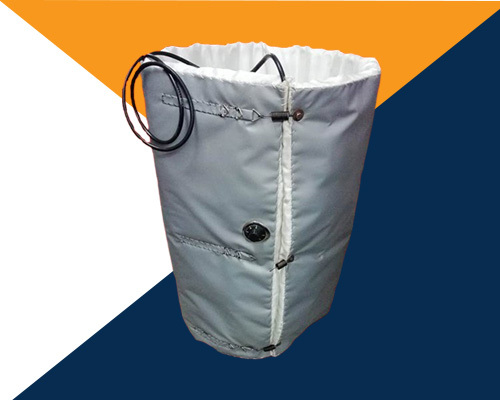 This Industrial Drum Heater is ideal for heating 200ltrs standard size drums and ensures uniform heating. It consists of thermocouple sensor that controls the heat, as per the requirement of the application. Additionally, it has castor wheels, which make it a portable device to use in different heating applications. It is a simple yet effective solution that is available in steel, plastic, as well as, the fiber material. They maintain the temperature in water purification system and keep resin at optimum temperature. Being the leading Plastic Oil Drum Heater Suppliers and Exporters, we are only a few steps away to provide customer support. Buy Oil Drum Heater or send any query related to the same on the details available to you.